The company said that demand and prices for its large, high-quality white rough diamonds from its Letšeng mine in Lesotho have remained firm. 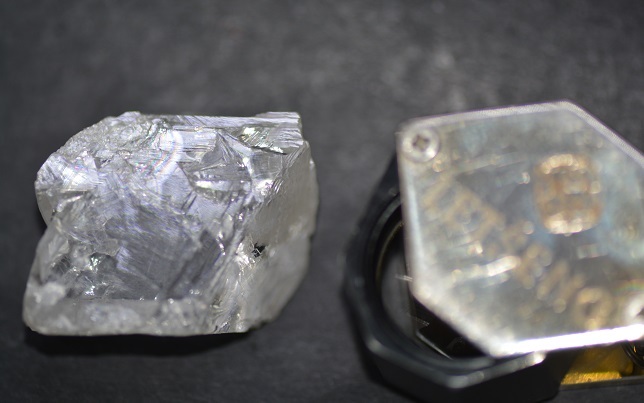 Following the end of the end of its fourth quarter on December 31, strong pricing was achieved at its first tender of 2019, with an average price of US$2,004 per carat, it added. The miner said it remains on track to achieve its target of US$100 million in incremental revenue, productivity improvements and cost savings for the four-year period to end 2021. Initiatives that have been implemented to date, are expected to deliver US$60 million of the targeted US$100 million. The miner said further details will be released with its full year results on March 13. CEO Clifford Elphick, commented: "The large diamond recoveries continued during the period with three diamonds greater than 100 carats being recovered, resulting in the highest number of these recoveries in a single calendar year. Production in 2018 also included a record number of diamonds greater than 20 carats being recovered in a single year."